If you are looking for a quick, good value meal, there are several options at the sanctuary, with something to suit all tastes and budgets. 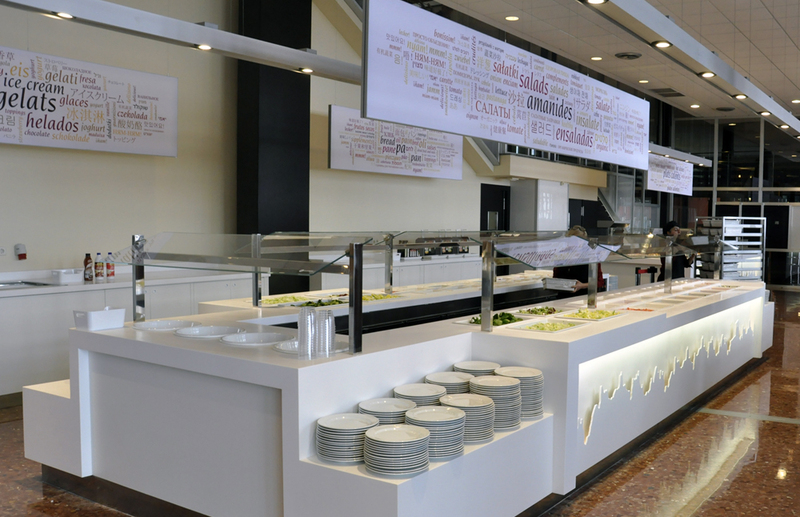 Montserrat Buffet is located on the second floor of the Mirador dels Apòstols building. The dining rooms command splendid views over the mountain. This is the ideal place for a quick meal, with a huge range of Mediterranean and international dishes offering excellent value for money. The Cafeteria was completely refurbished in 2001, serves a large range of dishes and hot and cold sandwiches, cakes, drinks, etc. The Bar de la Plaça serves hot and cold sandwiches, cakes, drinks, etc, in a pleasant, friendly atmosphere. Visitors can also use the picnic area enjoying magnificent views over the mountain whilst having a meal in the open air.